Why do we do RCIA? Instead of asking what we should do, let’s first ask why we are doing it. We often hear from RCIA coordinators that they encounter seekers who are too busy to participate in very much of the formation process the parish has designed for them. In a previous post, I suggested that often the seeker is not necessarily too busy but is instead not making formation a priority. However, exceptions prove the rule. Sometimes a person really is extraordinarily busy. When that is the case, we often get stuck trying to figure out what to do. If we can change our question a bit, it might help us through our dilemma. Instead of asking what we should do, let’s first ask why we are doing it. 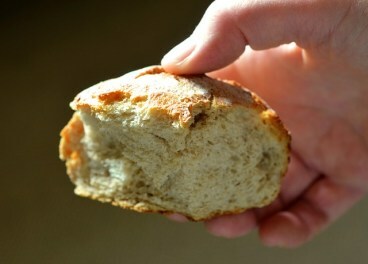 Why dismiss the catechumens before Jesus becomes present? At a recent TeamRCIA Institute, a participant was flummoxed about the dismissal of the catechumens after the homily. Why, he wanted to know, would we dismiss people who are learning about Jesus before Jesus is made present in the Mass (at the moment of consecration)? It’s a head-scratcher. 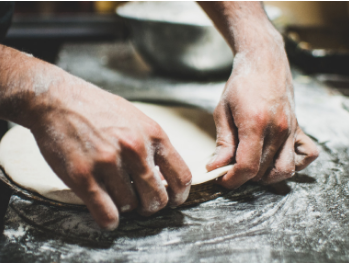 Throughout most of history, we have focused on Christ’s presence in the eucharist as something that happens at the specific moment the bread and wine are consecrated. However, the Second Vatican Council recovered for the church a deeper tradition. Final Training Date for 2018! I inherited RCIA when I accepted the position of Co-Pastoral Assistant for Faith Formation at my parish. At that time, I had no idea what to do. I mirrored what had been done the year before. You have helped us improve our program every year (baby steps). This year I think we will be better than ever because by the Grace of God we have been plugged into your presentations. Thank you for your webinar and online courses! You have been a real help to our ministry. We all agree that the community needs to be involved in the RCIA. So we make bulletin and Mass announcements explaining the rites and the RCIA process, hoping the parishioners will “get” their responsibility to initiate these seekers. Then, although catechumens, candidates, sponsors, and team members form a tight-knit community, parishioners still wonder who these people are with their rituals that make the Mass long, and most of the newly initiated still disappear from the parish after Easter. Taking to heart what the United States bishops said in their document on adult faith formation—”While the parish may have an adult faith formation program, it is no less true that the parish is an adult faith formation program”—Diana Macalintal argues that we have to stop trying to get the parish involved in the RCIA and start getting the catechumens and candidates involved in the parish. the three levels of catechesis and how to use mystagogical reflection on parish life to provide a systematic and complete catechesis appropriate for each level. 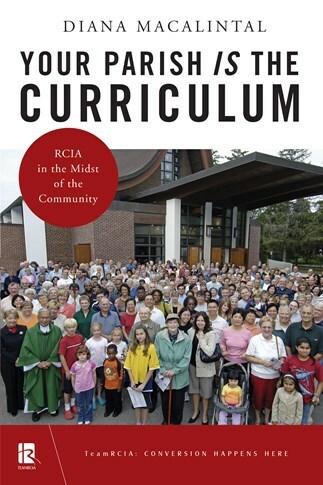 When you make your parish the RCIA curriculum, you will be shaping not just a group of people but an entire community into lifelong disciples.